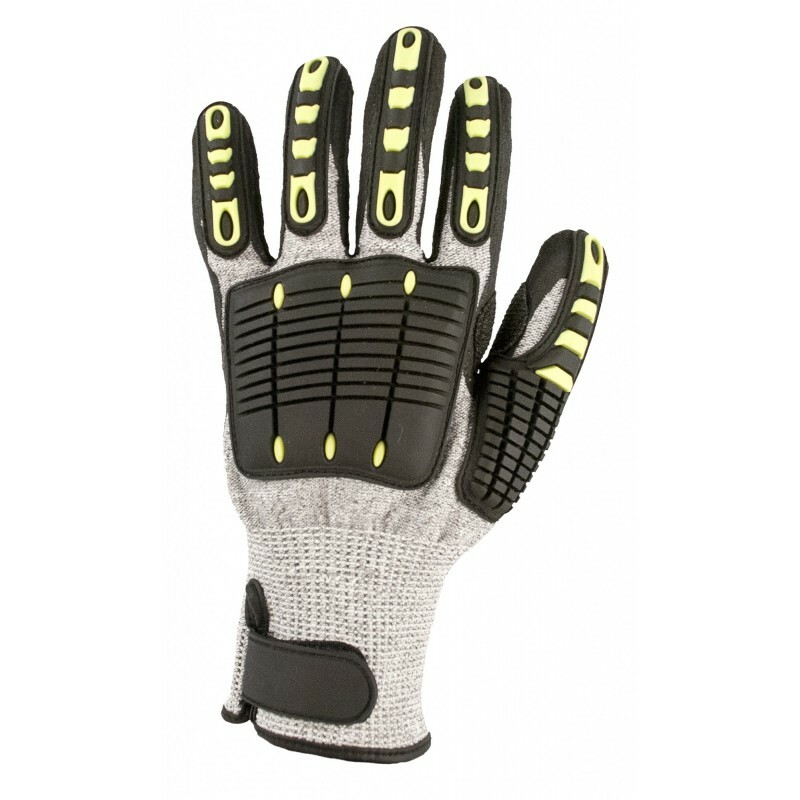 Combining comfort grip impact and cut resistance in a comfortable seamless liner. Flexible PVC impact pods for maximum durability. Reinforced thumb crotch. Suitable for heavy duty applications. Dimensions are 20" x 11" x 17"